Опишите пожалуйста комнату на английском языке, уровень 6 класса . Надо рассказать какие вещи , животные и предметы находятся в комнате , а также уточнить их цвет. It is a small room. There is a bed in the centre of the room. The bed is brown and it is covered with yellow blanket, also it is a white pillow on the bed. 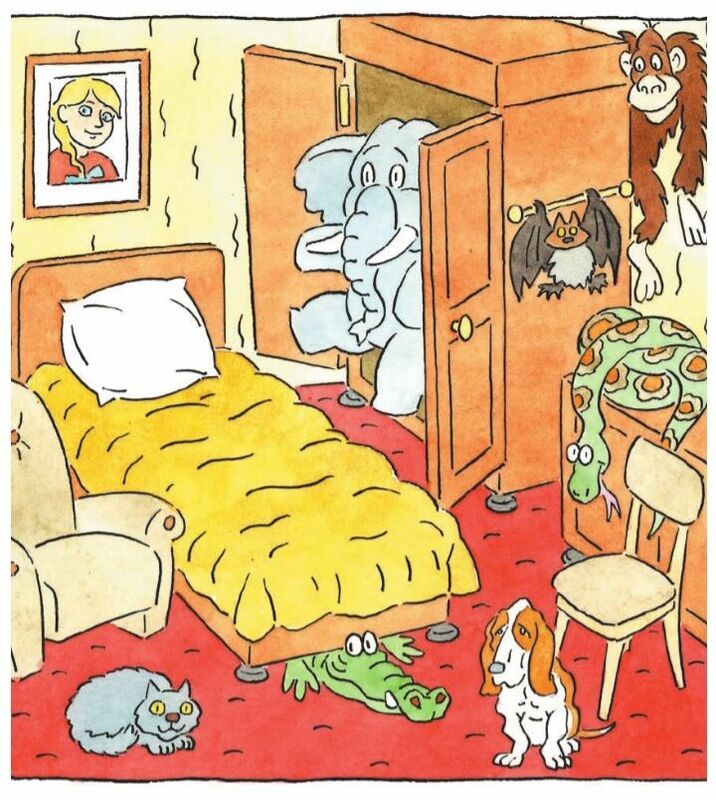 There is a green crocodile under the bed. On the left there is an armchair. It is brown. In front of it there is a grey cat. On the right there is a wardrobe. There is a grey elephant inside it. On the right side of the wardrobe there is a black bat. Beside the wardrobe there is a brown monkey. Next to the wardrobe there is a table. There is a green snake on the table. There is a brown chair near the table. Near the chair there is a brown and white dog. There is a picture in the wall.